This mixed-use cultural center engages social, cultural, and historic issues as critical aspects of the definition of context—exploring contemporary architectural design in historic places. 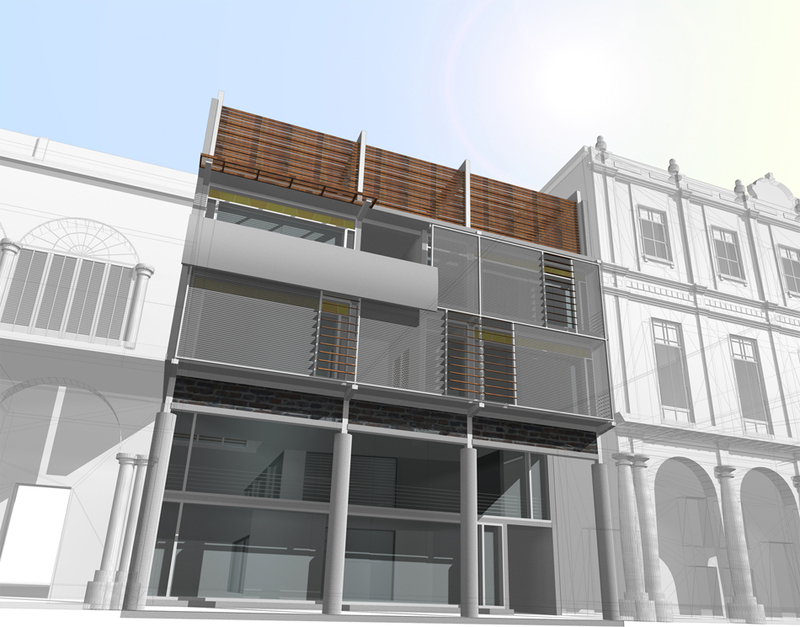 The project uses Old Havana’s urban architecture as a precedent, particularly the spatiality of colonial Cuban houses as well as visual, social, and functional qualities of their urban façades. Additionally, it extends the legacy of mid-twentieth century Modernism in Havana, a Critical Regionalist movement that sought to reinterpret colonial Cuban architecture in a contemporary language. The cultural center includes housing, offices, art galleries, studios, classrooms, a small library, retail space, and a café. It is located at the Plaza Vieja [Old Square] in La Habana Vieja [Old Havana]. A cultural destination undergoing restoration, the Plaza Vieja is an appropriate place to propose a contemporary project that re-interprets and translates Havana’s historic context. * Awarded the 2005 Honor Award for Unbuilt Design Architecture from the Boston Society of Architects, the 2006 Honor Award for Unbuilt Architecture from AIA Miami, and the 2006 Merit Award for Unbuilt Architecture from AIA Florida. Collage: Plaza Vieja existing, Site Highlighted. Montage: Mixed-Use Cultural Center Inserted.